In the late 1990s and early 2000s, I was a dabbler in short fiction. I wrote about one story each year. I’d send that story out once, maybe twice if I felt cocky, and then I’d trunk it, figuring that a rejection or two meant a story was no good. Somehow, despite this method – and despite the fact that many of my stories actually were no good – I managed a few small sales to literary magazines. If I had known how incredibly unlikely those sales were, given my one-and-done submission approach, I might have understood that short fiction and I could have a future together, if I worked on my craft and learned about the market. But I didn’t know that. I assumed that acceptance must be the default for any halfway decent story. If a story of mine got rejected, even once, I thought that meant I was an irredeemably bad short-fiction writer. 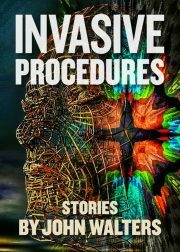 I continued to dabble, only writing short stories once in a while, almost by accident. I had no sense of how the market was receiving my work, or how the market was receiving the work of other writers. Beyond a few scribbled comments on (paper) rejection slips, the short-story market was an inscrutable black box. Then in 2012, I decided to get serious about short stories. In the time that had elapsed since my first desultory attempts at short fiction, the Internet had evolved. There are all sorts of tools now for tracking submissions to short-story markets. I discovered Duotrope and the Submission Grinder, both of which display aggregate submission data so that writers can see how everyone else is doing. Acceptances, I discovered, were rare – for just about everyone. I started talking to other writers about their experience. I joined a critique group of writers active in my genre. After my first pro sale in the spring of 2013, I became a member of the Codex writers’ community. After a few more pro sales, I joined SFWA as an active member in 2014. I learned that it’s quite common for a story to make the rounds to a dozen markets or more before it sells. Last year’s Hugo-winning story, “The Water That Falls on You From Nowhere,” racked up 14 rejections before it sold to Tor.com, one of the most prestigious markets in our field. Now I’m a non-fiction editor as well as a fiction writer, and I understand that rejection is the default, as it would be in any other transaction. When a customer walks past a rack of shirts in a store, that is not necessarily an assessment of the store-owner’s abilities. Maybe the customer is looking for pants. Maybe someone else will buy a shirt. Tracking my submissions, in the context of the submissions of other people, helped me to internalize that knowledge. Scrolling down a long list of recent responses on Duotrope – the vast majority of which are always rejections – is the best way to understand that rejection is a big part of the writing life. In addition to the Grinder and Duotrope, many magazines now allow writers to check the status of their submissions online, and some include a number to show where a submission is in the queue. For some writers, rejectomancy is unhealthy: at best a waste of time, at worst a source of stress. But like everything else in the writing life, your mileage may vary. For me, rejectomancy reminds me that the odds are long. When I submit a story to a pro market and see that I’m number 200 in the queue, that doesn’t make me despair – it reminds me that rejection is the likely result for hundreds of writers who are sending stories to that market that month, many of whom are likely very good. So when my rejection comes, I can put it in that context. Keeping track of submissions can also help writers know when to query, if it seems likely that an email has gone awry. Response times vary widely from market to market, and there are many markets whose posted response times bear little relationship to their actual habits. By checking in with my fellow writers, I can get a better sense of what to expect, and when to check in. I can learn the pet peeves of certain editors by sharing notes with my peers. And since not all markets tell writers how far their stories made it in the process, getting to know the average response times can be a clue to how close a story came to acceptance, and what that might mean. If it weren’t for rejectomancy, I wouldn’t know that getting to “second round” at Clarkesworld is very rare. When that happened to me for the first time, I knew that meant the story was a keeper, even though the story ultimately wasn’t for Clarkesworld. That also helped guide my future submissions to that editor. Some editors use different form rejections depending on how well they liked your story. If it weren’t for rejectomancy, I would have no idea how to crack that code, because a “nicely done but didn’t grab me” can mean very different things from different editors. When it’s done in the right spirit, rejectomancy can foster camaraderie among writers, as we cross our fingers for each other and cheer our successes. It can even be fun. Rejectomancy is not for everybody and it can be toxic. But “just submit and forget it” doesn’t work for everyone either. 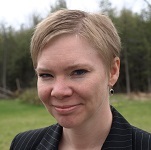 Kate Heartfield is a fiction writer and journalist in Ottawa, Canada. Her short fiction has appeared recently in Strange Horizons, Daily Science Fiction, Crossed Genres, Podcastle, Lackington’s and elsewhere. Her website is heartfieldfiction.com and her Twitter handle is @kateheartfield. She is an active member of SFWA.